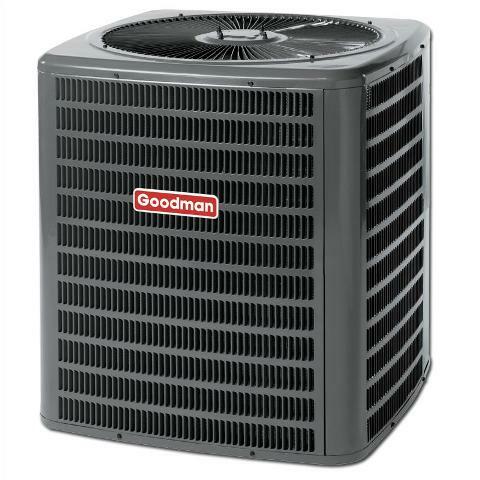 If you ask anyone to recommend a heat pump, chances are that they will mention American Standard Heat Pumps whether for light commercial or residential applications. American Standard Heating & Air Conditioning, a member of the Ingersoll Rand corporate family, has been helping families breathe easier and feel more comfortable in their homes since the 1880s. American Standard Heating & Air Conditioning were one of the pioneers of home comfort when the radiators were ugly, heavy cast iron contraptions, and they are still in the forefront of today’s world of modern, svelte, highly-efficient heating and cooling systems. American Standard was asked help design the Apollo astronauts’ Mobile Quarantine Facility by NASA in 1969. The “Home Comfort Buying Guide” of the June 1998 edition of Consumer’s Digest magazine ranked American Standard’s Allegiance® 14 and Allegiance® 16 air conditioners among the Best Buys. 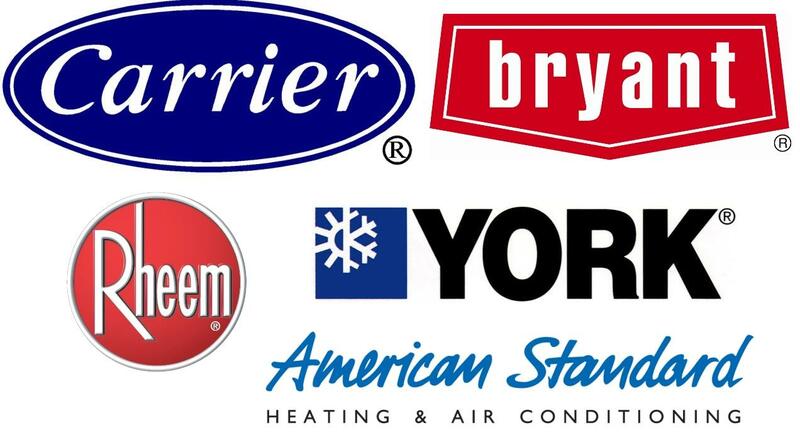 American Standard Heating & Air Conditioning was one of the top two brands for reliability according to a survey of 35,000 consumers and in excess of 500 furnace installers, held by a national product testing magazine. American Standard Heating & Air Conditioning ranked tops in overall dealer satisfaction in 2006, 2007, 2008, 2010 and 2011. American Standard’s mantra is “Quality, Efficiency, Reliability.” Add to that a lot of history, systems that are tailored to your family, meet or exceed all government efficiency standards and are easy to maintain, and it is no wonder readers of a national product testing and research magazine rated American Standard Heat Pumps and Air Conditioners “the most reliable brand among leading manufacturers” in May 2012. 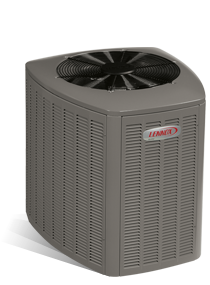 American Standard Heat Pumps are designed to provide you with the ultimate comfort for the lowest costs. 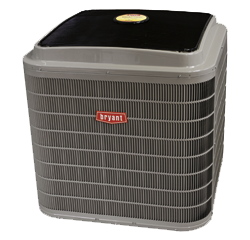 American Standard Heating & Air Conditioning systems believe that selecting your home comfort system should be a painless decision for you to make, in more ways than one. It is this dedication and customer care that has kept American Standard’s customers coming back and recommending the company to others for more than a hundred years. American Standard is renowned for, amongst other things, its durability and vast range of products that are designed and engineered with one thing in mind, your comfort. From programmable thermostats to a whole-home air filtration system rated as the most reliable and effective in the nation, American Standard has what it takes to provide products that are low-maintenance and will outperform and outlast the rest. Being part of the Ingersoll Rand family means that American Standard operates in accordance with Ingersoll’s sustainability values, as depicted on the Ingersoll Rand sustainability site, where you can find an overview of environmental, economic, and social performance. You can also find information regarding products and solutions for assisting customers to reach their sustainability goals and help them to attain their Green Building Certification. 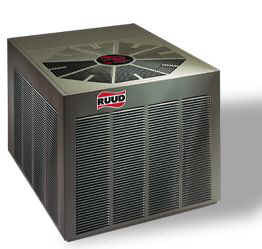 American Standard Heat Pumps not only meet but exceed the AFUE and SEER ratings as laid out by the government. Products like the AccuClean whole-home air filtration system, with its precise and more efficient, easy-to-use system controls and modern technology like AccuLink’s self-diagnostics make sure that the indoor air quality in your home remains at a temperature that is most comfortable for you. Matched systems work together with the ultimate efficiency for much longer. When it comes to energy savings, American Standard’s furnaces perform at up to 96.7 AFUE and use up to 30 % less energy, and the air conditioners perform at up to 20 SEER and use up to 60 % less energy. All the ENERGY STAR-rated products operate approximately 20 % more efficient than efficiency standards set out by the government. 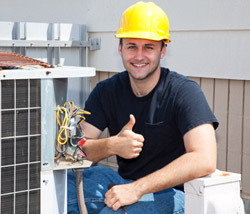 In the spirit of putting the customer first and helping them to find ways to access the best solutions for their comfort and energy efficiency, the American Standard Heating & Air Conditioning Dealers can also advise you of monthly payment financing options that are available to you. This will allow you to get the comfort you need when you need it, for reasonable monthly payments, instead of having to wait to save the money. Silver Series – allows you to raise the levels of comfort in your home for a very reasonable price; the products are designed to work together flawlessly and can also be matched with units from other series. Gold Series – products are the epitome of efficiency and afford you stress-free, reliable home-comfort. The products are perfectly matched to each other but can also be matched with those of other series. Platinum Series – as the name denotes, this series is the best of the best, and offers the highest level of comfort and efficiency. As with the other series, the models work together seamlessly and can also be paired with those of the Gold Series and the Silver Series. 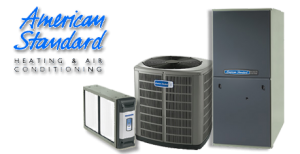 American Standard Heating & Air Conditioning offer warranty programs that afford the owner years of worry-free protection. Your Dealer will be able to assist you to find the specific warranty to suit your specific situation. 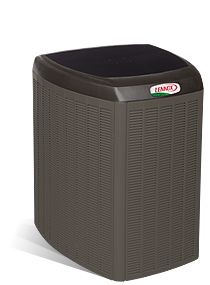 All home comfort solutions leave the factory with the American Standard Heating & Air conditioning base limited warranty, the terms of which can be found in the owner’s manual. This warranty offers extended cover as long as the product is registered within sixty days of purchase. Registration can be done online or by calling 1-800-554-8005. If you neglect to register your product within the stipulated time-frame the Base Limited Warranty terms will apply. You can purchase this transferability option, which allows your Registered Limited Warranty to be transferred to a subsequent homeowner during the Registered Limited Warranty period. This warranty will allow you to sell your home with a top of the line system that is still under warranty, with the warranty transferring to the new owner. You can purchase an extended warranty in order to protect your equipment for a longer period than the limited warranty does. There are various options, and your Dealer will be able to help you to purchase the one that is best-suited to our needs. So, to recap briefly, American Standard Heat Pumps can offer you everything you need in a home-comfort system, at an affordable price and with a warranty that is tailored to suit your needs.